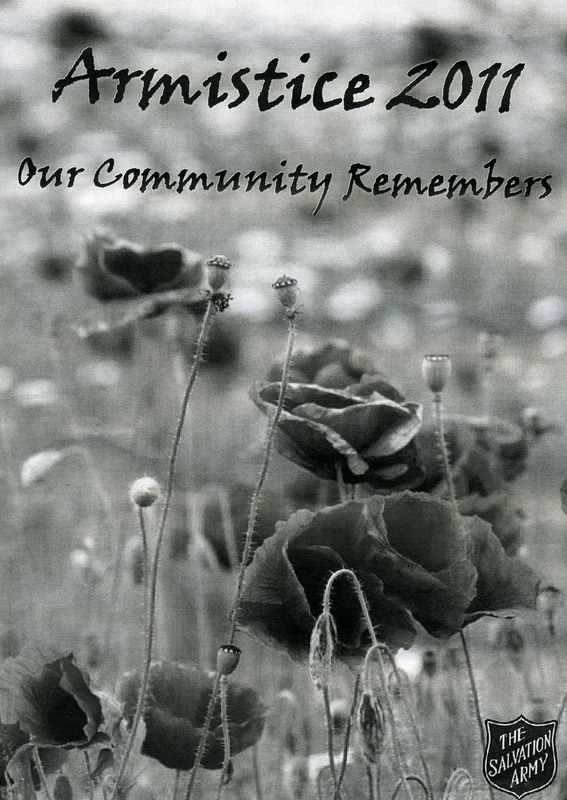 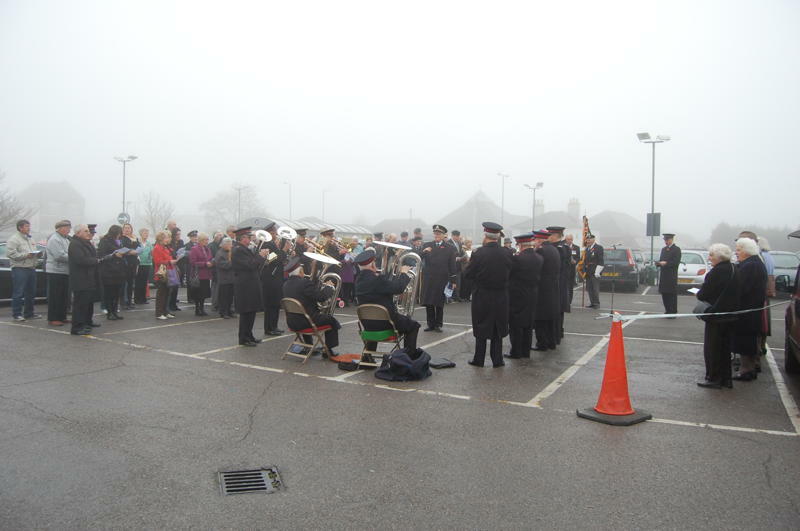 The annual Salvation Army Service of Remembrance was again held in Morrisons’ car park opposite the Hadleigh Temple. 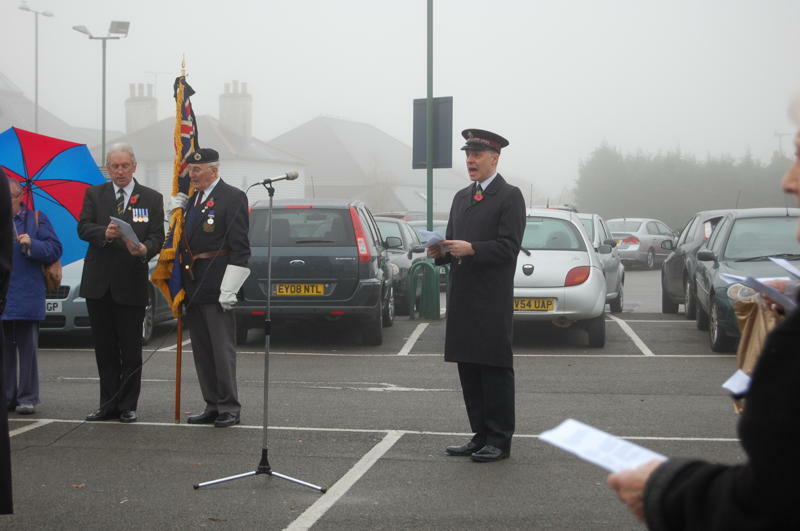 It was a damp and misty morning. It was well attended by veterans, the Air Cadets and the general public. Two hymns were sung, led by the Salvation Army Band. 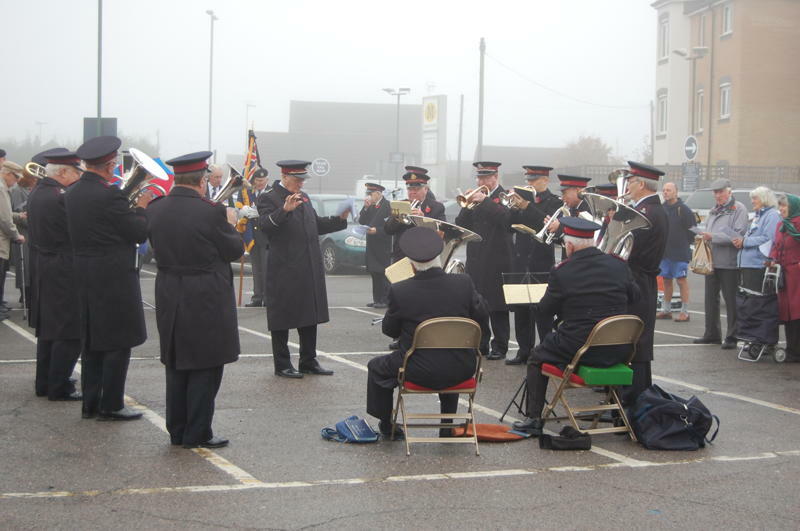 As the Last Post was sounded by a Salvation Army trumpeter at 1100 hours, the Hadleigh and Thundersley standard was lowered. 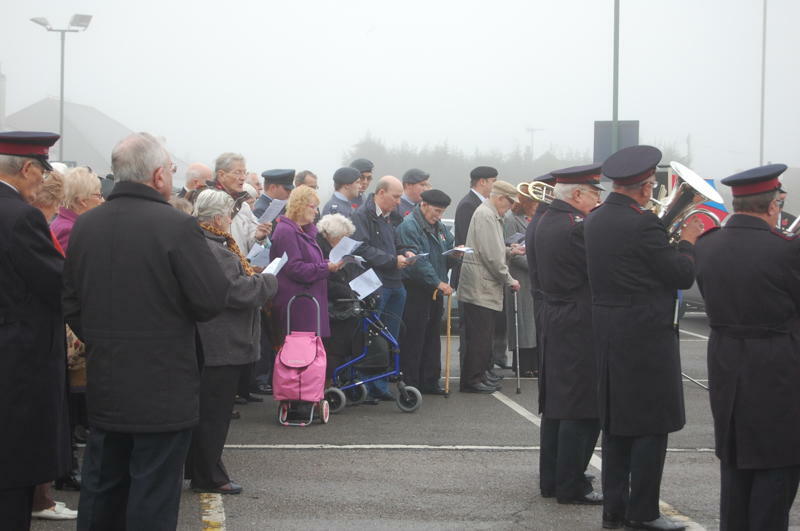 It was then raised when Reveille was sounded, after the two minutes silence. At the end of a short service we were all invited over to the Salvation Army Temple for coffee.